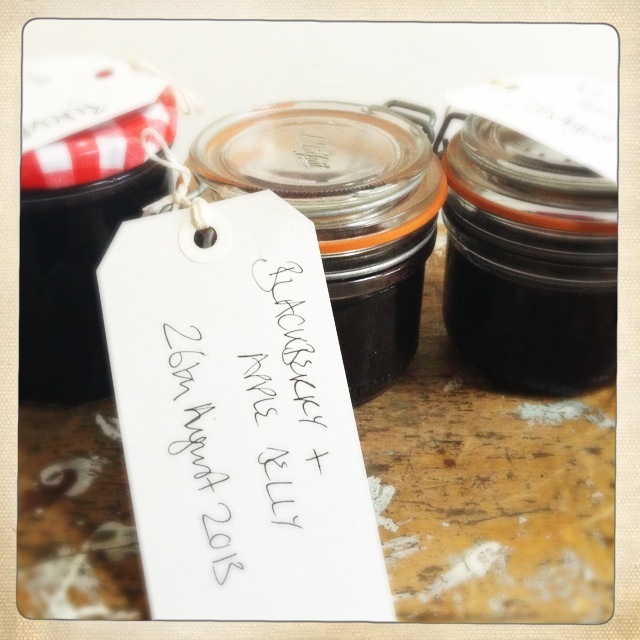 Apparently making your own jam or jelly is quite a rite of passage. It’s similar to shopping for fresh Sage in Waitrose on Christmas Eve, so I’m told. I’ve never made jam or jelly before, I have all the books and the all the jars and even some vintage jam jar labels but until a couple of weeks ago, I was never brave enough to try it myself. 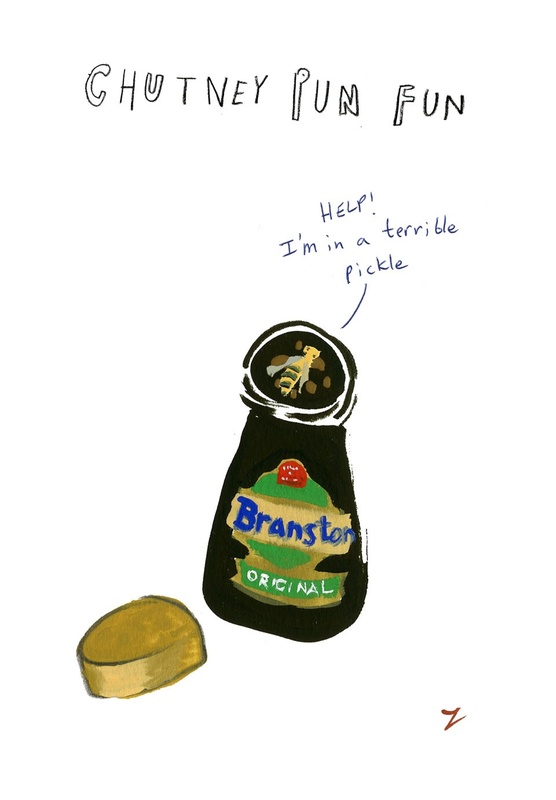 I’m also not a massive fan of jam / jelly on anything really but I AM a massive fan of peanut butter and jam / jelly sandwiches and it was this that inspired me. I could potentially be about to knock Goober Grape out of the market all together….although I haven’t actually attempted those stripes in a jar yet. So it was this, along with the glut of blackberries growing at the end of our garden, that made me give jelly making a go. We also have a rather wonderful fallen apple tree in our garden which, despite lying horizontally across the lawn, where it has been for over a year, still manages to yield the most beautiful branches of blossom and a very impressive harvest of apples. I found my recipe, the shortest and easiest version I could, I dug out one of the children’s muslins from the just-in-case baby box, tied on my favourite apron (any excuse) and got started. It was easier than a blackberry and apple pie and far more satisfying. I thought the “leave the syrup to drip overnight” would put me off seeing as I’m a hugely impatient cook, but it actually had quite the opposite effect. I found this part the most enjoyable of all. Waking to find that I had created a perfectly glossy fruity syrup by simply leaving some apple and blackberry mush to work its way through a well used (but clean) muslin was very exciting indeed. 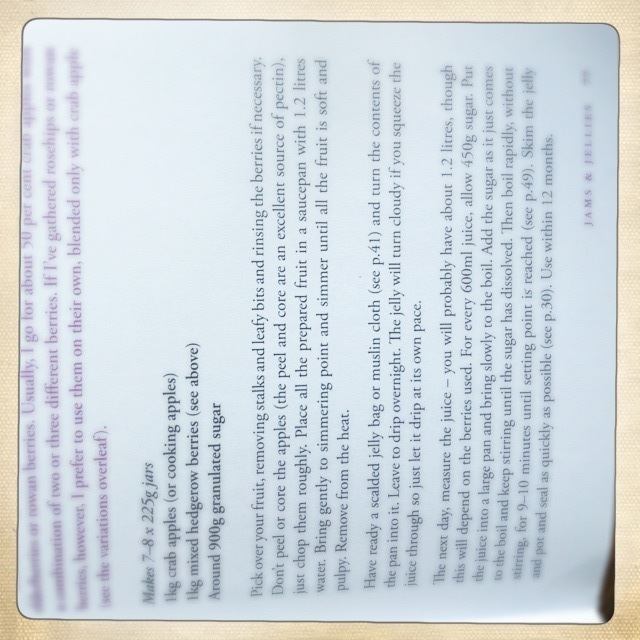 So here’s the recipe I followed from The River Cottage Handbook, Preserves by Pam Corbin. I’m certain you could find similar formula online as it seems to be the most straight forward and can be adapted to all manner of fruit. And here are my jars. 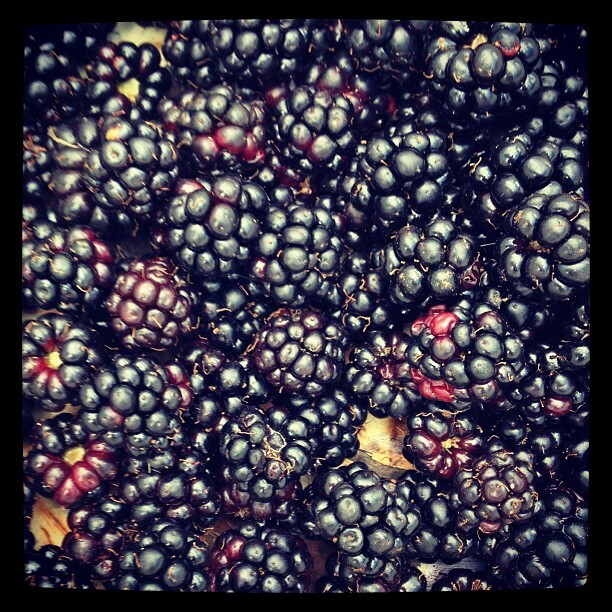 I’ve given a few away already and am about to gather the last of the blackberries and make another round for Christmas presents. This could be a cottage industry in the making…..or it may just be added to the long list of other home spun enterprises which never quite get off the ground. I saw this link to a competition John Lewis are running with Vine about What Matters Most – I was busy buying grey school socks for my 5 year old. They’re asking people to make a short stop motion movie using vine about what matters to them and share it on Twitter. You can win £1000 in John Lewis vouchers which, quite frankly, would matter a very great deal to me indeed. I may not get the movie written and directed by Sunday but It did get me thinking. The things that mattered to me 10 years ago are very different to the things which matter most to me now. Then it was about what to wear, what to eat, who to be and who to be friends with. Now it’s all about my children, health and happiness, the things I love and have loved and the things that make me smile. I suppose what matters most to me now are memories and moments. Both these things can be attached to material objects, those which invoke happy thoughts and personal feelings. 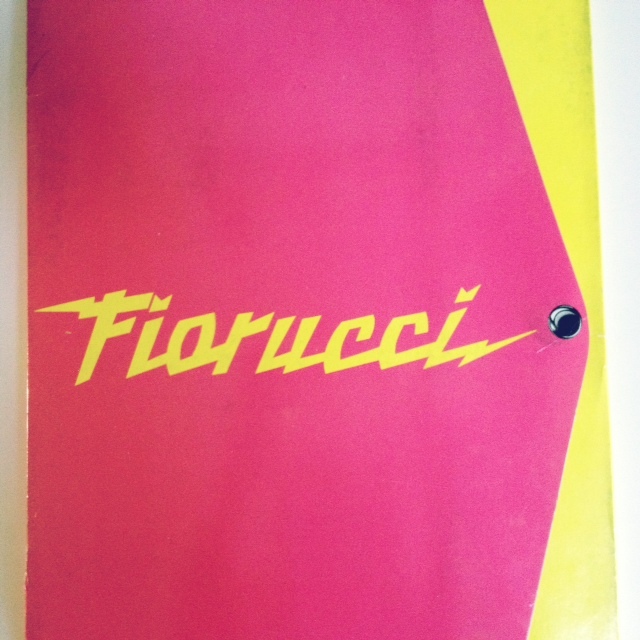 So, without wanting to be either too sentimental or too materialistic and whilst feeling rather under pressure to choose just one thing, I’m choosing this, my Fiorucci Panini sticker collection. 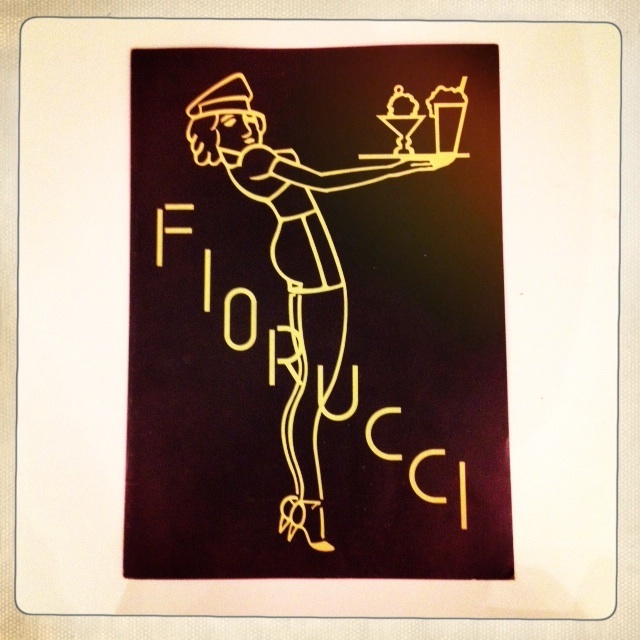 In my formative fashion teenage years Fiorucci was my first brand obsession. The store on the Kings Road was my very favourite place to visit and it encapsulated everything I thought of as cool. It was full of the kind of Pop 80s style I most loved. Bright, brash and painfully hip. 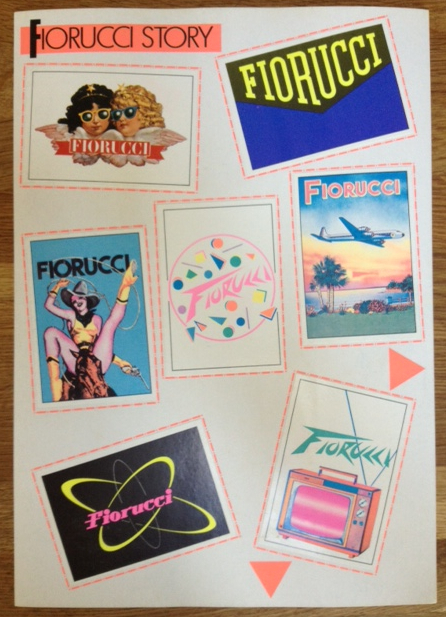 The rates on pocket money around this time didn’t help secure many purchases but what I did buy on every single visit, was a pack of stickers, which allowed me my very own little bit of Fiorucci fashion. Over the years I lost or swapped or gave away most of my sticky treasure but I held on to a small collection which I framed in later years and have kept to this day. They make me smile and the colours, the imagery, the language all still make me feel like they did the day I bought them. So that’s the memory and until my 38th birthday, those 12 stickers were all I had and they were without a doubt my most prized possession. 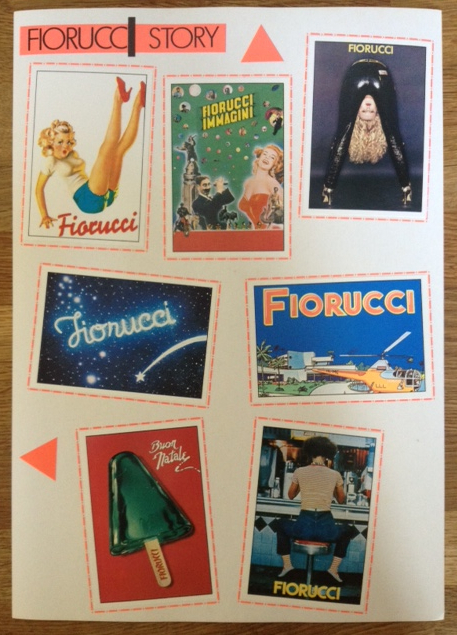 And then, having thought for years that my husband didn’t listen to anything I said nor did he care about any of my things (that could still be a little bit true), I was presented on my birthday morning with a full set of Panini Fiorucci stickers. I’m still not entirely sure how or where he found them but he did and I now own them, all of them, beautifully mounted on the official Panini cards and protected in their very own Fiorucci folder. I want to run back to school and show everyone but instead I just look at them from time to time when I need to smile and be reminded of what matters most.